Does a ‘feedstock adjustment’ arise under section 355-465 of the Income Tax Assessment Act 1997 (ITAA 1997) in relation to expenditure incurred by an ‘Research and Development (R&D) entity’ in creating a prototype which is a depreciating asset, but not one used in acquiring or producing any ‘feedstock inputs’? Simply, the answer is no. A feedstock adjustment does not arise under section 355-465 of the ITAA 1997 where an R&D entity incurs expenditure on constructing a prototype which is a tangible depreciating asset, where that asset is not used in acquiring or producing any ‘feedstock inputs’. Feedstock adjustments depend, among other conditions, on the R&D entity obtaining a tax offset under section 355-100 of the ITAA 1997 for an income year, but only for certain kinds of notional deductions covered by Division 355 of the ITAA 1997. A notional deduction for the decline in value of a depreciating asset which is not used in acquiring or producing any feedstock inputs is not one of these kinds, and so section 355-465 of the ITAA 1997 does not apply. This is because Division 355 allows certain taxpayers (being an R&D entity within the meaning of section 355-35) a tax offset based on prescribed percentages of the total of the notional deductions they are entitled to under seven specific sections in the Division, including section 355-205 (R&D expenditure) and section 355-305 (decline in value of R&D assets). 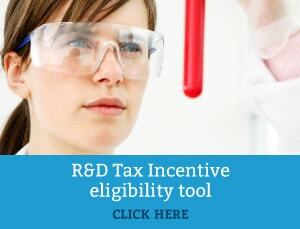 Subsection 355-205(1) allows an R&D entity to notionally deduct expenses incurred on R&D activities, where the conditions of that subsection are met. This is subject to section 355-225 (excluded expenditure): see subsection 355-205(2). Click here for the full Interpretative Decision.